Stress management workshops, gym membership reimbursement, support groups and flu shot clinics are popular examples of workplace wellness programs. Wondering if your employer offers this type of program? There is a good chance it does — more than 90 percent of large employers and 73 percent of small employers offer this employee perk. Programs typically target either a desired lifestyle modification, like quitting smoking or starting a fitness program, or chronic disease management, such as blood pressure or blood sugar monitoring. The goal of these programs is to improve employee health — and ultimately the company’s bottom line through reduced healthcare costs and less absenteeism. 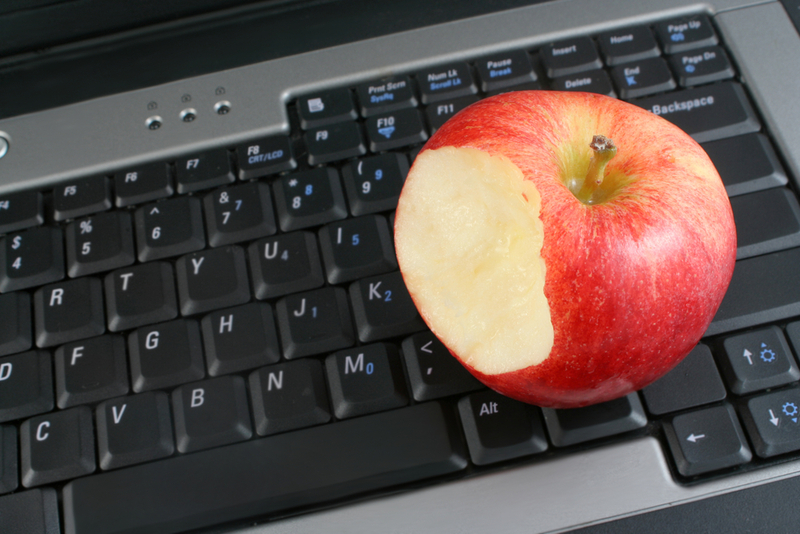 Many employees appreciate the convenience and incentives workplace wellness programs have to offer. Others, especially those with federally recognized disabilities, feel the programs are not designed to be flexible enough to accommodate their needs. This leaves them discouraged and feeling left out despite being actively involved and interested in improving their own health. Let’s take a closer look at specific reasons why workplace wellness programs might be discriminatory and some recent lawsuits that shed light on this issue. How Are Workplace Wellness Programs Discriminatory? Workplace wellness sounds like a win-win on the surface. To understand how a program designed to help people get healthier could actually end up hurting people with disabilities, it is important to understand exactly how workplace wellness programs work. Workplace wellness programs provide a framework to help motivate employees to achieve or complete certain health-related goals through workplace-based initiatives and financial incentives. For example, employees may find their health insurance contribution lowered if they participate in a physical fitness or stress-management course. While there are many factors contributing to the popularity of workplace wellness programs, most companies are motivated primarily by the potential to reduce healthcare costs. There are also tax breaks and incentives offered as part of the Patient Protection and Affordable Care Act (ACA). All workplace wellness programs must be voluntary under the ACA to qualify for tax breaks. Many people, not just those with disabilities, claim this is often not the case. These people contend the financial incentives and disincentives amount to coercion. Furthermore, the biometric data collected in some wellness activities, such as blood pressure, smoking status and blood sugar, could be a violation of privacy. Workplace wellness programs are especially problematic for employees with disabilities, even those who are active and would like to participate. First, many of the conditions targeted by wellness programs like obesity, hypertension, diabetes and anxiety can qualify as a disability under the Americans with Disabilities Act (ADA). This puts some employees at a disadvantage — a disadvantage employers are legally obliged to accommodate — but few do. Second, various disabilities may make reaching the specific health measurements required for incentives impossible or impractical. Without allowing employees with disabilities to participate and get the same benefit from workplace wellness programs, incentives or disincentives for participation may actually shift the burden of healthcare costs unfairly, and illegally, to those already dealing with chronic health issues. The Health Insurance Portability and Accountability Act of 1996 (HIPPA) states group health plans cannot discriminate but provides an exception for when the plan offers reduced co-pay or cost-sharing for individuals who participate in workplace wellness programs. This would seem to protect employers from lawsuits claiming workplace wellness programs are discriminatory, but the HIPPA stipulation does not override the ADA. The relevant parts of the ADA, HIPPA and the ACA would only apply if workplace wellness programs were not voluntary. As discussed above, many people, not just those with disabilities, contend workplace wellness programs are not voluntary in practice. To date, there is no governing body or legislation clearly spelling out exactly what a voluntary program, which complies with the ADA, looks like. Take a minute to reflect on any workplace wellness programs offered by your employer. Are all employees offered the same access to incentives, and do these programs actually address the health problems facing all employees? Or are they simply helping some and leaving others feeling left out or pressured? What solutions can you propose to help make workplace wellness programs accessible to all employees? Join the discussion and share your thoughts in the comments section below. Adam Levenson is the community manager for MHA@GW, the executive master of health administration program at the Milken Institute School of Public Health at the George Washington University. On the MHA@GW blog, Adam writes regularly about health care, wellness and leadership. Failure of a wellness program for people with disabilities is that the organization may not have a person with a disability that works at their company. The only wellness incentives in my company is $150 for saying you are exercising and filling out the calendar showing that you exercised 3 times a week for 10 out of 12 weeks; you can also complete some other web-based programs e.g. taking a little web based class on how to sleep better or keep more attention or whatever for additional $150. They do offer flu shot walk in clinic, but it’s entirely voluntary and there are no incentives – you just walk in if you want it and don’t otherwise, I usually do it. They did introduce a smoking surcharge, but I think it’s fairly small (I don’t smoke so I don’t care) and it’s trust-based and after they’ve offered cessation program help for several years. Occasionally, they have walk-in for screenings; but there are no incentives for that, and I think at most 5% of people do it. I don’t. I don’t see an issue with a programs like my employer has – anonymous and voluntary walk-in; I do have a huge issue with forced screening since I think it violates the fundamental right of people to refuse medical intervention. Besides, the next step for say high cholesterol may be to force people to take medication, never mind that it doesn’t even save money, which can cause real harm and violates one’s right to refuse treatment. Thank you so much for your comments. It is great that your organization is providing a wellness incentive. If you are not satisfied please always look to find something in your community or near by that would address your physical fitness needs.